Meaning of No one can make you feel inferior without your consent. Meaning of No one can make you feel inferior without your consent. 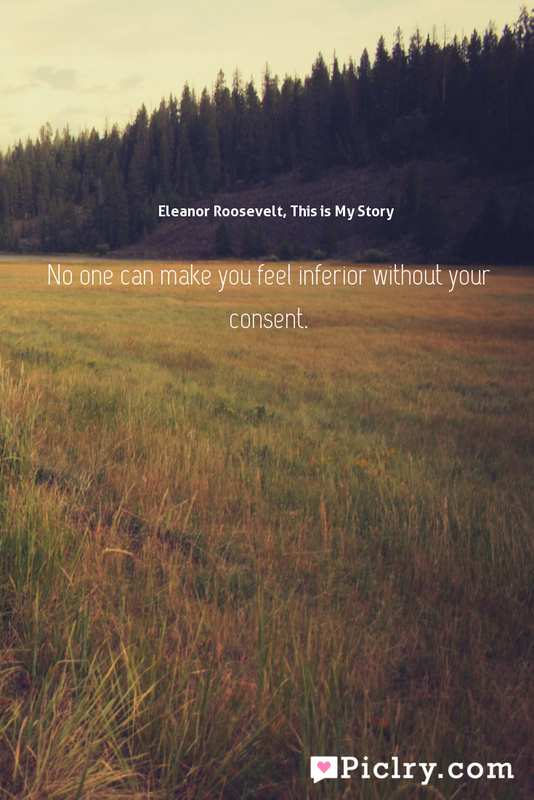 Quote by Eleanor Roosevelt, This is My Story.